Brought to your assistance with space managing skills is this wardrobe as this a great wardrobe for your room or say the room, if you were looking for something this sophisticated and this wardrobe is strong enough to contain even your hard stuff too. 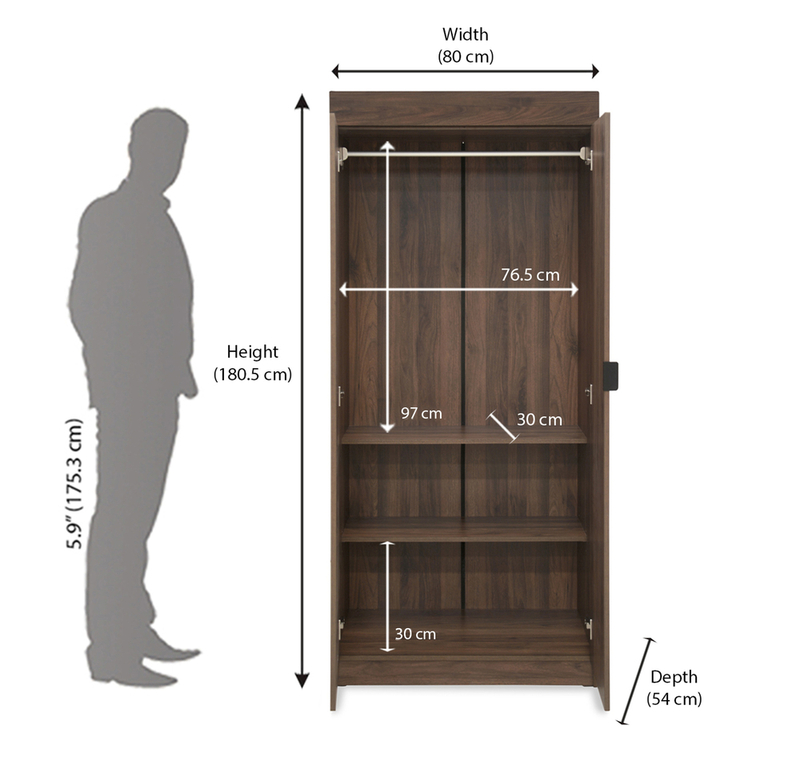 This wardrobe is 800 mm in width, with depth of 540 in mm and heighted at 1805 in mm. If you are probably thinking about its material the its top, side and middle panel is engineered wood that is 15 mm pre - laminated particle board. The door, base and panel shelf is made up of engineered wood which is 15 mm pre – laminated particle board. This cardboard is finishing of melamine and is eye catchy for sure. It is easily moveable because it is just 58 kg in weight. You are obviously in search of a place to keep your extra stuff and even if you are not in the search then surely you could use some extra space to add in your room of no matter what size. This wardrobe is a two door item and is simple to use. Buy the product from @home now.